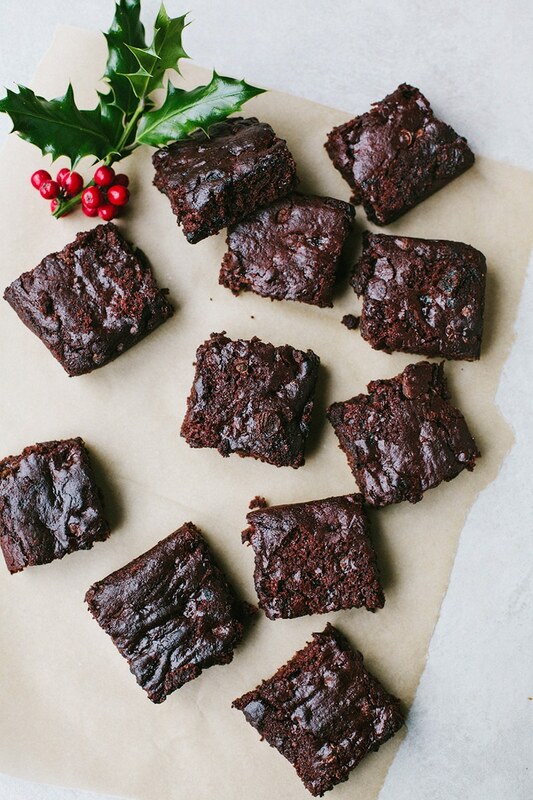 All I want for Christmas is… Brownies. These gooey, chocolatey brownies are made with a Christmas twist – Festive spices and mincemeat! You could call these Mince Pie Brownies but for those who don’t like mince pies… I think you will love these brownies. They’re also made with gluten-free flour and are vegan too! 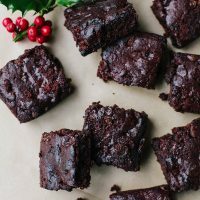 I was inspired to make these brownies after being sent a lovely package from Holland & Barrett which supplied me with the ideal ingredients for festive baking. This year, they’ve created a handy gift finder on their website, which I used to find gifts for myself! 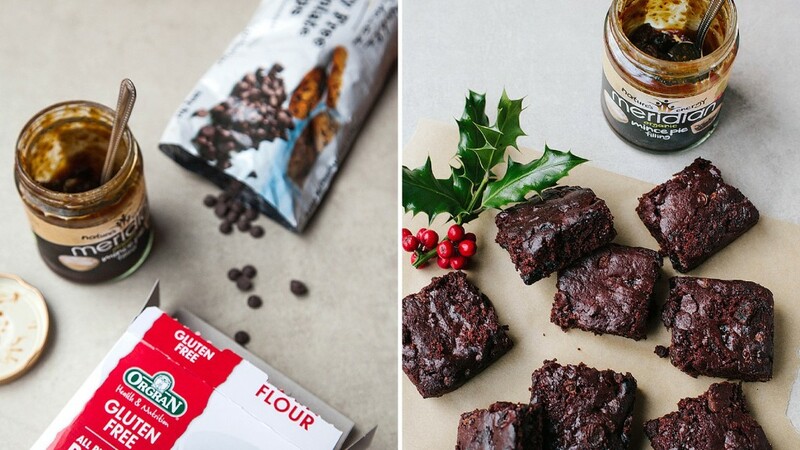 The package included gluten-free flour, mince pie filling and chocolate chips which brought the idea of these Christmas brownies to mind! The mince pie filling gives these brownies a fruity, natural sweetness and an incredible texture. Honestly one of the nicest brownies I’ve had! 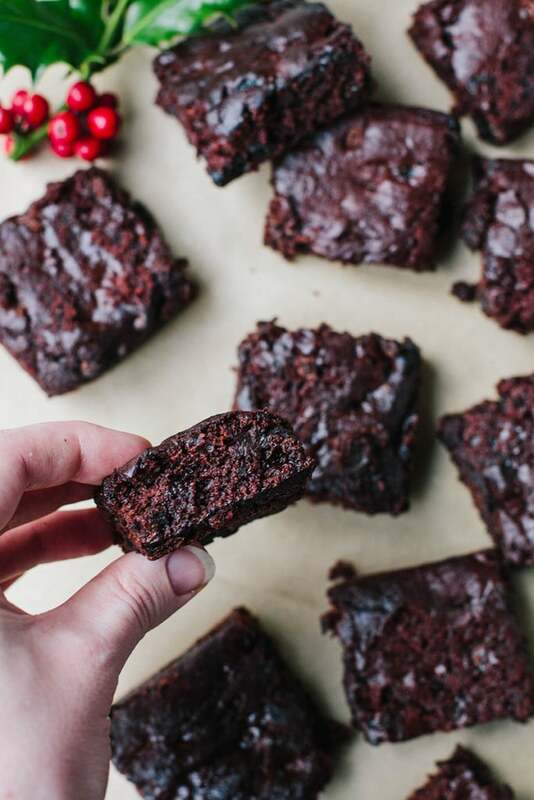 Vegan & gluten-free chocolate brownies with a Christmas twist. Filled with mincemeat and festive spices! 120 ml / 1/2 cup unsweetened applesauce, or apple puree, you can find this in the baby food aisle! Preheat oven to 180c / 350f and line a 8x8 inch brownie tin with baking paper. Mix the flour, sugar, cocoa powder, spices, baking powder, soda and salt together in a large bowl. Stir in the applesauce, almond milk, oil and vanilla to make a smooth batter. Fold in the chocolate chips and mincemeat. Transfer the mixture to the baking tin and bake for 25-30 minutes. Leave to cool completely before cutting into 16 squares. Enjoy! I went out and bought mince pie filling but when I read the label there is beef suet in it so it's definitely not vegan. I ended up leaving it out but I wish you had a note in the recipe saying you need a certain brand or even just to check the label. I've never used it before and just took your word that it was vegan since you have the recipe listed as vegan. Any replacement for the mince pie filling? 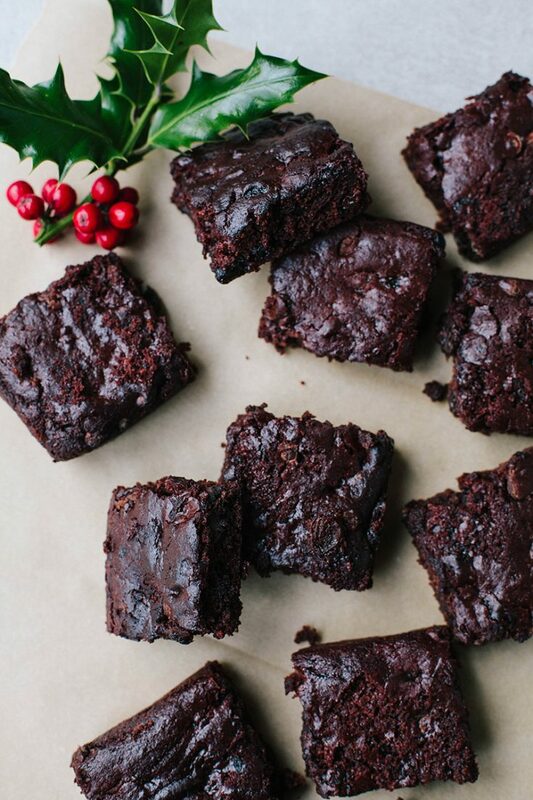 Gorgeous brownies, what a great idea to add mincemeat & Christmas spices for this time of the year!